First image of an upcoming sky series. A Hong Kong panorama view on the fabulous skyline of Hong Kong at night, during the blue hour. You can see the Stonecutters Bridge, connecting Tsing Yi and the Stonecutters Islands. In the background you can see the ICC (International Commerce Centre) in Kowloon and on the other side of Victoria Harbour the whole Hong Kong skyline on Hong Kong Island, including Victoria Peak. A more detailed view on Victoria Harbour. View towards west from Hong Kong. Asian street scenery in Hong Kong, Sham Shui Po. Lights in Hong Kong at night. Hong Kong is a city of light and neon. In this view you can see some of its thousand of skyscrapers, creating an unbelievable density. Aerial view on the urban jungle of Hong Kong. Highways through the city, illuminated skyscrapers. This is what a science fiction city looks like. First image of my upcoming series "Hong Kong Hallucinations"
Two years ago I published my series red planet. Now it is time for phase two. Check out the series "Colonization" on behance. 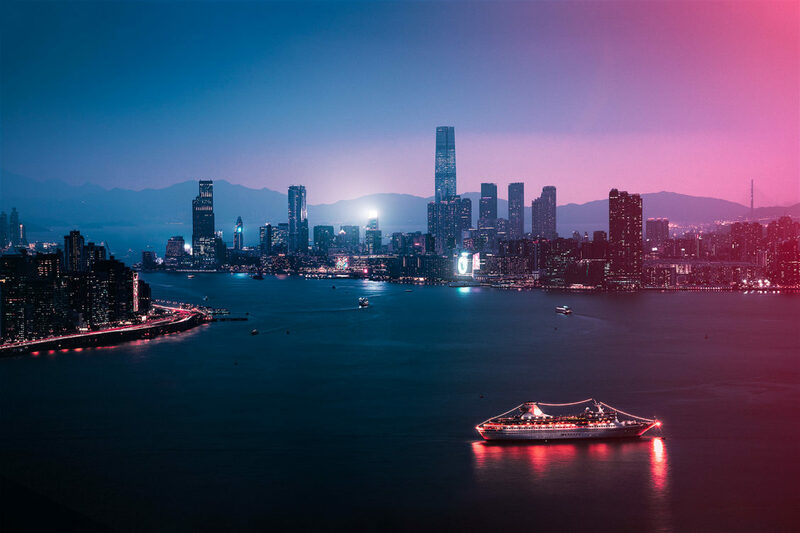 View on the skyline of Shenzhen, China. The megacity is surrouned by mountains and the cityscape covered by smog. The city is located in the area of Guangdong and is a special economic zone with around 12 millions habitants. I just spent some days in Hong Kong. What an unbelievable city, it was like a neverending, brainmelting fever dream. Some impressions, shot on my phone.